Each Member agrees to publically endorse the AIMS Roadmap supported by the Alliance for IP Media Solutions as the preferred IP interoperability roadmap for the broadcast industry. The DPP brings together producers, post producers, manufacturers, suppliers, service providers and broadcasters working towards solutions to the emerging challenges of working with digital media. The DPP has produced numerous industry insight reports and events, and produced best practice guidance. It has also defined and implemented some common standards – most notable a common standard for file-based programme delivery, which was implemented across the whole of UK broadcasting on 1 October 2014, and finally made end-to-end digital a reality. The MOS Development Group was formed in 1998 comprised of broadcast/media vendors and end-users. MOS is short for Media Object Server Communication Protocol. The MOS Protocol is a global industry solution to the problem of “How do I get my brand-X computer system to communicate with my brand-Y media server?” Primarily for Newsrooms, compatible hardware and software includes video editing, storage and management; automation; machine control; prompters; character generators; audio editing, store and management; web publishing, interactive TV, field transmission and graphics. The Development of the MOS Protocol is a collaborativeeffort of more than 300 companies. Worldwide, they include some of the largest and most influential software and hardware vendors in the broadcastindustry. The protocol is freely available at http://mosprotocol.com. Meetings are held twice a year at NAB and IBC. The Streaming Video Alliance is the only organization (within the streaming industry) that brings together all the constituents of the ecosystem: network operators, content owners, service providers, and technology companies. We foster an unprecedented level of collaboration among the value chain, which is manifested through our various Working Groups (that address a wide spectrum of streaming video workflow elements). Whether it’s best practices, specifications, requirements, or even standards (pushed through liaisons with other industry organizations like the CTA), our Working Groups are helping to shape the future of streaming video by providing clear guidelines and other technical documentation that ultimately result in a better end-user experience. The Avid Customer Association (ACA) is a community of media and entertainment industry professionals. Launched in September 2013, it’s a: “Customer run-and-led organization designed to foster deep collaboration between Avid and the people dedicated to proactively shaping the future of the industry”. The Audio Engineering Society is devoted exclusively to audio technology. 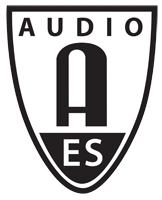 Founded in the United States in 1948, the AES has grown to become an international organization that unites audio engineers, creative artists, scientists and students worldwide by promoting advances in audio and disseminating new knowledge and research. Develops industry standards for audio and is the audio equivalent of the SMPTE. 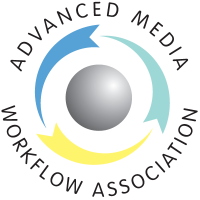 AMWA is an open, community-driven forum focused on the creation of timely, innovative, business-driven specifications and technologies for networked media workflows. Originally conceived to nurture and grow “AAF”, a project exchange format in the Post Production world. It went on to maintain support and update the MXF file exchange format. The Advanced Television Systems Committee, Inc., is primarily a North American international, non-profit organization developing voluntary standards for digital television. The ATSC member organizations represent the broadcast, broadcast equipment, motion picture, consumer electronics, computer, cable, satellite, and semiconductor industries. Specifically, ATSC is working to coordinate television standards among different communications media focusing on digital television, interactive systems, and broadband multimedia communications. ATSC is also developing digital television implementation strategies and presenting educational seminars on the ATSC standards. A UK organisation with their mission statement being: “The DTG is the centre for collaboration at the heart of the digital TV industry.” More than 125 companies are members of the DTG. The primary area of influence is broadcast to the home, head end and consumer receiver. However, they do have workgroups including production. Participation in these none core areas is thin. Primarily famous for their “D” book which is the transmission reference document which translates standards from groups such as DVB in to UK specific specifications. The DVB Project develops specifications for digital television consumer delivery systems, which are turned into standards by international standards bodies such as ETSI or CENELEC. It does so through collaboration of its Members in numerous Working Groups. Once specifications have become standards, they are promoted for international adoption and utilisation. Each DVB standard starts its life in the Commercial Module which draw up a set of Commercial Requirements (CR) that outline the market parameters such as user functions, timescales and price range. Once consensus on the CR is reached in the Commercial Module, they are put forward to the Technical Module. In the Technical Module the technological implications of the user requirements are examined and available technologies are explored. Once the Technical Module reaches consensus on the resulting specification, the specification is put forward to the Steering Board. The Steering Board gives the final approval of the specification. The European Broadcasting Union is devoted to making public service media indispensable. We support and strengthen public service media, provide first-class media services and offer our members a centre for learning and sharing. This organisation is not primarily technical but supports a strong technology group. A group that once set standards but now works through the SMPTE on behalf of their members. They cite their in-house technology specialists as a key asset. Hold meetings exclusively for broadcasters and open up some of their events to a wider community including suppliers. They have a strong bias towards picture quality related issues and have tended to discuss with suppliers individually rather than collectively. Produce documents that become Internet standards. The IPPG aims to bring together companies committed to advancing the IP-based content revolution by embedding instant interoperability into component technologies in complex broadcast systems. The objective is to establish innovative, cost-effective products for media and broadcast that fit together with products from a broad range of vendors, each of which has used its own individual and unique expertise to develop its products. Customers who use IPPG suppliers benefit by gaining access to IT products that meet the special needs of media and broadcast, and that can be readily integrated at minimal cost. This reduces the risk and the price to the customer while encouraging innovation and minimising the influence of the traditional vendor to sell out-dated solutions to risk-averse customers. The central research institute of the public broadcasters of Germany, Austria and Switzerland, working on; “Innovative and practical solutions for radio, television and the new media”. It covers both professional and consumer applications. The IRT is based in Munich and its associates are the broadcasting companies ARD, ZDF, DRadio, ORF and SRG / SSR. In addition, the IRT collaborates with numerous clients in the broadcasting, media, communications and information technology industries and cooperates with various research institutions and universities worldwide. IRT has been a significant player in file-based technologies and the MXF format in particular. Participates in worldwide standards groups and organises “plug-fests” at its headquarters in Munich to facilitate interoperability testing between suppliers. The International Telecommunication Union is a specialized agency of the United Nations (UN) responsible for issues that concern information and communication technologies. 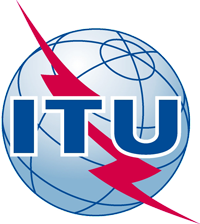 The ITU is seen as the highest level for broadcast and television standards and is often seen as the next world-wide step up from SMPTE standards. Bringing together manufacturers, broadcasters and industry organizations (standards bodies and trade associations) with the objective to create, store, transfer and stream professional media and to drive development of a packet-based network infrastructure for the professional media industry. The first phase of the JT-NM (with some 250 members) compiled a list of user requirements, and issued a Request for Technology. 27 companies responded with technology proposals. The JT-NM Task Force published the User Requirements in the summer of 2013. A team from JT-NM analysed the responses and compared the proposed technologies with the user requirements. The Gap Analysis Report was published in the 4th quarter of 2013. The Task Force Sponsors have agreed to a second phase of work. At the conclusion of Phase 1, it was not clear how the technologies offered could be used to create a coherent system that would meet the needs of the modern professional media industry. For that reason, the sponsors of the Task Force decided to initiate a second phase of work focused on resolving this issue. The goal of Phase 2 is to create a system reference architecture. The MOS Development Group was formed in 1998 comprised of broadcast/media vendors and end-users. MOS is short for Media Object ServerCommunication Protocol. The MOS Protocol is a global industry solution to the problem of “How do I get my brand-X computer system to communicate with my brand-Y media server?” Primarily for Newsrooms, compatible hardware and software includes video editing, storage and management; automation; machine control; prompters; character generators; audio editing, store and management; web publishing, interactive TV, field transmission and graphics. Trade association for broadcasters, NAB advances the interests of members in federal government, industry and public affairs; improves the quality and profitability of broadcasting; encourages content and technology innovation; and spotlights the important and unique ways stations serve their communities. SIMC is a group of companies focused on the intersection of digital and television media. We are developing cross-industry standards for the publication and distribution of digital media to television. Television is becoming interactive and connected to the internet. TV viewing is now an extension of people’s digital experiences. SIMC is enabling new ways to experience advertising, entertainment and education on television. A professional membership association and an internationally recognized and accredited organization. SMPTE advances moving-imagery education and engineering across the communications, technology, media, and entertainment industries. Since its founding in 1916, SMPTE has developed more than 800 standards, recommended practices, and engineering guidelines. Alliance for Telecommunications Industry Solutions (ATIS) – Developing standards and solutions for the information and communications technology (ICT) industry. Arab States Broadcasting Union (ASBU) – The Arab States Broadcasting Union (ASBU) is an Arab joint-action institution related to the League of Arab States and the Pan-Arab Association of Public Service and Commercial Broadcasters based in Tunis. Asia-Pacific Broadcasting Union (ABU) – Non-profit, non-government, professional association to assist the development of broadcasting in the region. Full members are national free-to-air broadcasters in the Asia-Pacific region and there is associate membership for provincial broadcasters, subscription broadcasters or national broadcasters in other parts of the world. Cable Labs – A non-profit research and development consortium for cable operators and related businesses. Defines interoperable solutions among members and their technology vendors. Membership is comprised of the major cable operators worldwide. Consumer Technology Association (CTA) – Formerly the Consumer Electronics Association (CEA), 2,200 member companies within the consumer technology industry. Market research, networking, educational programs and technical training, and representation from the voice of the industry. Federal Communications Commission (FCC) – An independent agency of the United States government, to regulate interstate communications by radio, television, wire, satellite, and cable in all 50 states, the District of Columbia and U.S. territories. The FCC works towards six goals in the areas of broadband, competition, the spectrum, the media, public safety and homeland security. Institute of Electrical and Electronics Engineers – (IEEE) – The world’s largest professional association. Publications, conferences, technology standards, and professional and educational activities. 430,000 IEEE members in more than 160 countries. International Electro-technical Commission (IEC) – Organization for the preparation and publication of International Standards for all electrical, electronic and related technologies. These are known collectively as “electro-technology”. IP/MPLS Forum – Develop multi-service broadband packet networking specifications addressing interoperability, architecture and management for business and converged broadband services, encompassing customer, access and backbone networks.